Our approach to spinal care is integrative, emphasizing the patient's overall health and wellness. We recognize that many factors that can affect one's healing including but not limited to: exercise, diet, rest, environment, and heredity. Our providers offer integrative, non-surgical care, maximizing the body's inherent recuperative functions and restoring balance to the spine. We are happy to consult with you about your health care needs. If we believe that your condition can benefit from our care we will work with you to develop an individualized treatment plan, discuss any associated risks, and consider alternatives prior to administering care. We set easily assessable outcome measures and will regularly reassess your progress while in our care. If your condition will not benefit from care or you are not responding to as anticipated, we will make the necessary referral. 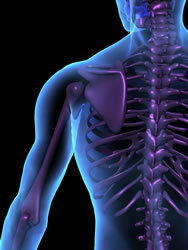 Blue Lakes Clinics is a d/b/a for two separate and distinct business; Blue Lakes Chiropractic and Blue Lakes Medicine. As a licensed Chiropractor in the State of Idaho, H. Rusty Arrington, DC (Dr. Arrington) evaluates and treats his chiropractic patients in that role through Blue Lakes Chiropractic. As licensed Family Nurse Practitioner in the State of Idaho, H. Rusty Arrington, MSN, NP-C (Mr. Arrington) evaluates and treats his medical patients in that role through Blue Lakes Medicine. Both businesses have separate and distinct Federal Tax ID numbers, NPI numbers, malpractice carriers and coverage. The nature of care, scope of services provided, insurance coverage, and billing services are subject to the type of care you choose to receive. Patients who sign into Blue Lakes Chiropractic are evaluated, diagnosed and treated under Dr. Arrington’s Idaho chiropractic license and billed through Blue Lakes Chiropractic. All care delivered is subject to Idaho law regarding chiropractic scope of practice, chiropractic malpractice coverage, and their own insurance policy coverage for chiropractic services. Patients who sign into Blue Lakes Medicine are evaluated, diagnosed and treated under Mr. Arrington’s Idaho nurse practitioner license and billed through Blue Lakes Medicine. All care delivered is subject to the Idaho law regarding nurse practitioner scope of practice, medical malpractice coverage, and their own insurance policy coverage for medical services. We do not provide services for both clinics in one visit. Billing is separated by clinic and provider for the services rendered and paid separately by the insurance carriers and/or patient to the clinic and provider from which the bill is generated. More information is available upon request at the clinic.